Vitiligo is a skin disorder affecting about 100 million persons worldwide. It is characterized by white patches of skin on different areas of the body, caused by a destruction of the melanocytes, the pigment-producing cells. Current medical treatment for vitiligo includes medications and surgery. Unfortunately, all treatments are notoriously ineffective, associated with a high risk of side effects and are often unaffordable for most people. Medical treatments include topical steroid therapy, psoralen photochemotherapy, and depigmentation therapy. In topical steroid therapy, you are required to use steroid creams on the white patches of the skin, and this is supposed to help the skin re-pigment itself. Doctors recommend that you use these creams at least for 3 months before any improvement can be expected to be seen. However, these creams are associated with a number of side effects and are not generally recommended for children or for patches of white skin occurring on the face, armpits or genital region. In psoralen photochemotherapy, ultraviolet light is used to re-pigment the white patches, in conjunction with psoralen cream or oral medications. This is extremely time-consuming and you will need to undergo bi- or tr-weekly sessions at a specialized clinic for several weeks or months. This type of treatment is associated with a number of severe side effects, including an increased risk of skin cancer, severe sunburn, blistering of the skin, and eye damage. 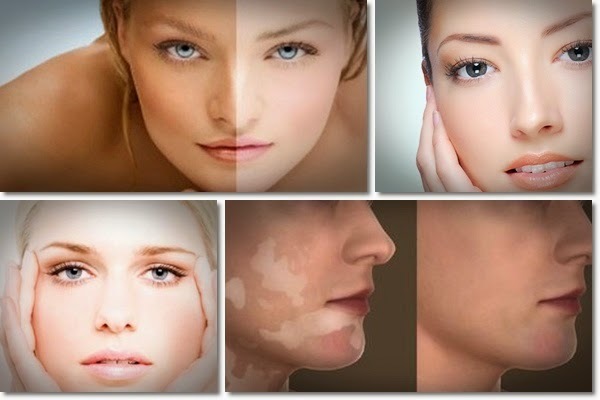 If your vitiligo is extensive, you may opt to have the rest of your skin de-pigmented, so that it matches the color of the vitiligo-affected parts. De-pigmentation involves the use of chemicals that basically bleach the skin. Side-effects include inflammation, itchy and dry skin, and extreme sensitivity to sunlight. If medical therapy proves ineffective (as it often does), surgical therapies may be opted for. Unfortunately, these are not generally paid for by insurance carriers, hence making them unaffordable to most patients. A common surgical therapy for vitiligo is the autologous skin graft, wherein a doctor takes some skin from an unaffected area (e.g. the buttocks) and attaches it to a de-pigmented area (e.g. on the arms). This operation suffers from complications such as infection, scarring, and cobblestone appearance of the skin. Another type of surgical therapy is special tattooing. Effectively, the doctor will try to find a dye that matches the natural color of the person's skin, and apply this dye into the skin. Obviously, it is hard to find a dye that matches the natural color perfectly. In addition, whilst normal skin changes in color according to different levels of sun exposure, tattooed skin won't. Although very few doctors will know or tell you about it (there is too much money involved in conventional treatment methods), you can actually cure yourself of vitiligo at home using only herbal and vitamin supplements, combined with some dietary and lifestyle changes. Indeed in the past, a number of doctors and scientists had reported such successes in medical journals, but this research is now kept hidden by the pharmaceutical industry. 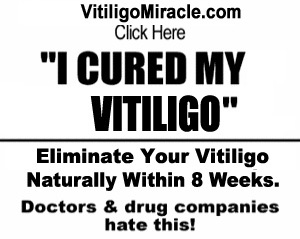 For the first time ever, this research has been dug up and used to compile a comprehensive step-by-step guide on exactly what you need to do to naturally and safely cure yourself of vitiligo in just a few weeks - without any medications or surgical interventions. For more information, visit David Platrow's " Vitiligo Miracle", www.naturalvitiligotreatmentsystem.com where he explains exactly why and how this system works. If you are seeking for Vitiligo Treatment in India then must consult with our expert team of doctors. Check this link and get the brief details. Yes it can be very dangerous. Don't let it to be severe. Get the best vitiligo treatment. Thank you for your information. It is really commendable. Get the perfect vitiligo treatment in Patiala only from the Dr Sandhu Skin & Hair Centre with 100/5 successful and natural results. We have the best team of the doctors that gives you prime solution within the time limit. If anyone is planning for low cost Vitiligo Treatment in Ludhiana Then must visit Dr Mohan Skin and Hair centre. Just make a call on our number and get full information on vitiligo treatment. Vitiligo cream is our 100% Guaranteed and Clinically Proven Permanent Treatment for vitiligo disease, contains no steroids, photo-sensitizing chemicals. Amazing content posting here, that is so unique information. Looking Doctors for vitiligo treatment in Delhi nearby your locality and get doctors contact addresses, help-line number.